This is one of those posts where I beg and plead for you not to do something, and if you already don’t do it, you can give yourself a little pat on the back (or a beer, whatever does it for ya). So, you’ve decided to put an email sign-up form on our website. Awesome! You’ve just put it there so that you can collect emails to use at a future date for your convenience and your sole benefit. Not so awesome. By collecting email addresses, you are creating the expectation that you will indeed be sending emails. And useful ones at that. Many small businesses make the mistake of putting up the email sign-up form solely for their own purpose. They rub their hands together in anticipation for the new product launch they will have down the road and how they will be able to promote the hell out of it with their email list. Until then, well… nothing. Nada. No informative emails. No interesting articles. What’s wrong with the above? Well, when your peeps finally do get an email from you, and it’s all about promotion (or whatever it is that you want them to do for your gain, whether it’s fill out a survey, or donate, whatever), they’re not going to be nearly as receptive as if you had warmed them up and made them love you with great content and useful sh**. They might even feel used. The result? Your promotion won’t get the impact you would have hoped for. Or, people won’t even remember who on earth you are cause they signed up so long ago, and you’ll be marked as spam (which of course you don’t want!). OK, fine. In some situations just promos will work. I will concede this point. For some businesses, strictly promotional emails do work. You might have a really engaged customer base that wants or buys your stuff on a regular basis, and loves promos. This definitely works. But, I will say that promos mixed with interesting content is always the best way to go. And, if you’re not consistent in sending your promos (you’re collecting addresses for a year before you blast out a coupon), this can really backfire – see above. You’ve got a wonderful excel spreadsheet of emails burning a hole on your desktop. You can’t wait to use them to send out a great e-newsletter. And of course you can use these emails. You collected them when your customers signed up for your service. If whoever gave you their email did not expressly agree to receiving emails and promotions from you, you can’t send to them. Period. It’s against the law. You don’t want to be a spammy unethical marketer do you? People must either signup online to get your emails, or give permission another way, such as on a registration form for example. Even if you’re sure that the list is interested in your emails, you must take the steps to get them properly opted-in. No buts. Top email marketing providers (such as Aweber) make the whole opt-in process a breeze. So don’t be greedy in your use of emails. I’m all about breaking the rules and trying new things, but not when it comes to using someone else’s personal information. That’s just bad business. Thanks for your comment! I’m glad that you found the post useful, and I appreciate the link love on your blog 🙂 Welcome to the blogging world! You did the link back and the acknowledgment perfectly! I do have one tip for you though in terms of the content. It’s fine to pull quotes or sections from another blog post or article, but it’s always good to add in some of your own content. Whether paraphrasing what was said, or adding in your opinion for example. The reason for this is that Google does not like duplicate content. So if you are trying to get Google to like your blog (in other words, SEO is important to you), you need to have original content that is nowhere else on the web. Doesn’t mean you can’t use and reference other people’s stuff. You just need to tweak it. Hope that’s useful to you! I know it’s a lot to learn when you’re just getting going 🙂 If you have any questions about blogging, you are always welcome to be in touch on Twitter or on Facebook. Thank you for email and acknowledging me on twitter. See you online. It’s been very nice connecting with you. I am always ranting about “Pitch” emails. We are in business to make sales. Everyone knows that, but you cant just send promos all the time without any meat to it. You have to build the trust first. Even my emails promoting products usually have some form of educational bit to them so my readers will get good stuff, even if they don’t buy. I do suggest the 80-20 rule. 80% content 20% promotion. It builds a ton more trust and likability! Thanks for the comment Ely! I’m totally with you. So many business think that once they’ve got the emails, that’s the gold mine right there. But the true treasure is in the relationship and how valuable you are to your customers. Keri recently posted..Blogger vs WordPress- 7 Reasons to Switch Today and a great deal! 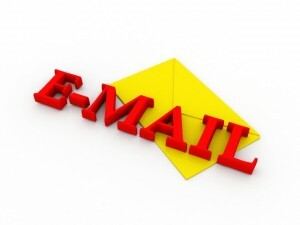 With email marketing, there are definitely certain rules that you have to follow. Glad the post was useful to you Keri!